From a photo of the ghost of Jim Morrison to a mysterious picture of a sea monster we count 10 photos that should not exist. In 1999, a man from London spotted a UFO in the sky above his home. 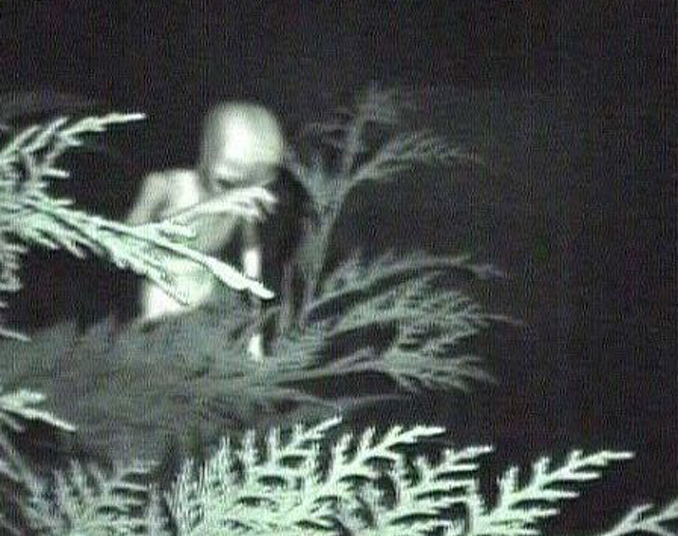 When he went outside to investigate he saw several small humanoid creatures foraging around his backyard. 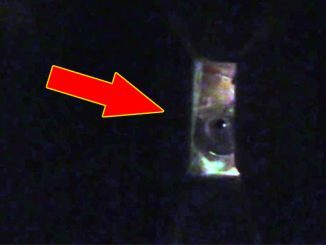 He managed to capture a series of photos of the creatures including this one that seems to show one of the creatures shielding its eyes from the camera flash. In this image, three strange lights can be seen in the sky as two of the creatures appear to be communicating with each other. The one on the left looks to be pointing towards the photographer. 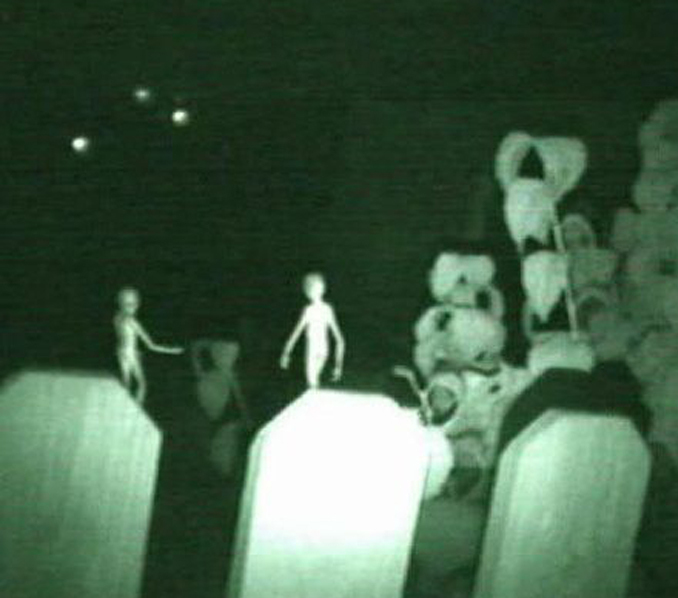 Could this just be children playing a prank or was this man really visited by aliens? 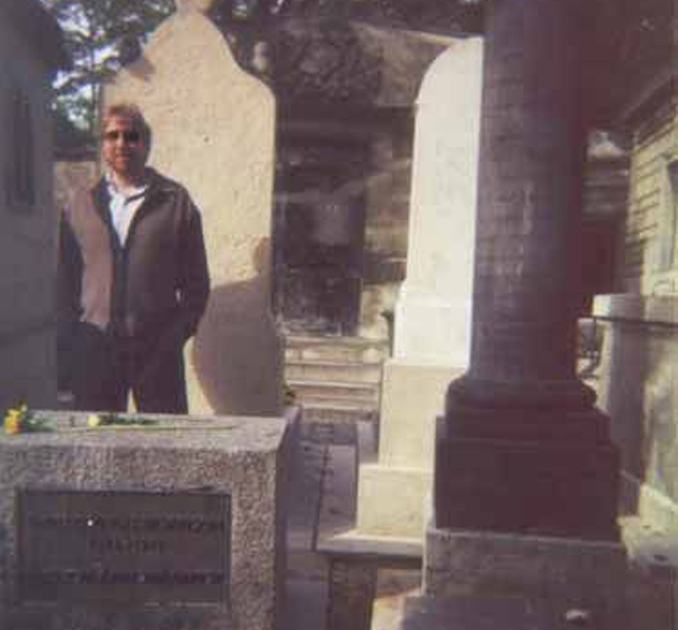 In 1997, American rock historian, Bret Meisner asked his assistant to take a photograph of him standing next to the grave of the legendary Doors front man, Jim Morrison. The grave, located at the Pere Lachaise cemetery in Paris is a popular tourist attraction with many fans visiting daily. Meisner initially forgot about the photo and it wasn’t until 5 years later that he found it again. Looking at the picture, Meisner noticed something very strange about the photo. In the background, there appeared to be another figure standing on top of the steps. 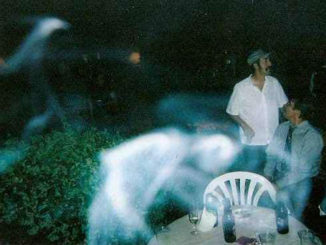 The image quickly spread across the internet with many claiming that the ghostly figure seen in the picture was none other than Jim Morrison himself. When doubt was cast on the validity of the image, Meisner agreed to have it examined. 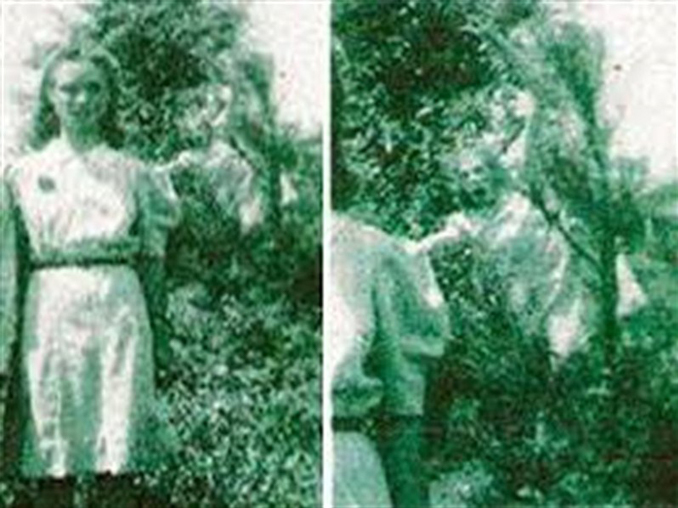 Experts agreed that both the photo and the negative had not been tampered with in any way, nor was there any evidence that the figure was a result of exposure or light manipulation. To this day, the figure in the photo remains a mystery. 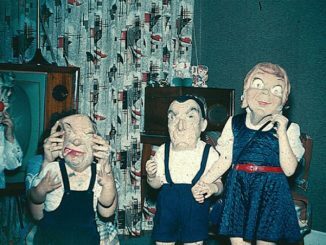 This photo was taken by a woman who began noticing strange occurrences around her house that seemingly had no explanation. She decided to set up a computer camera and leave it running. 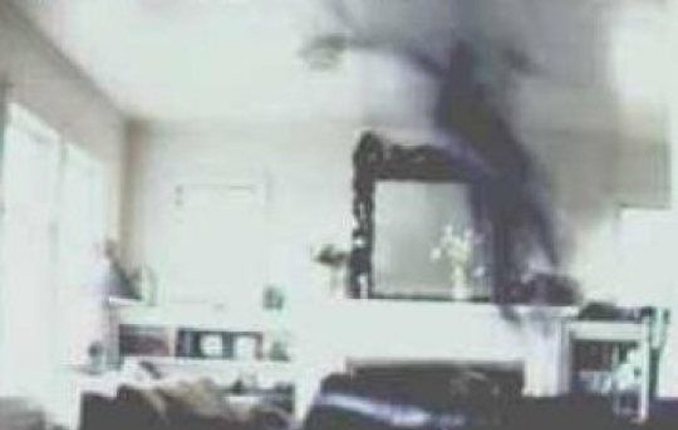 When she reviewed the footage it appeared to have captured a dark figure in the middle her lounge room. 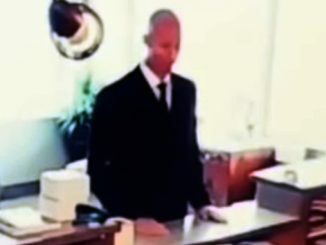 Did she capture what is commonly known as a shadow person? 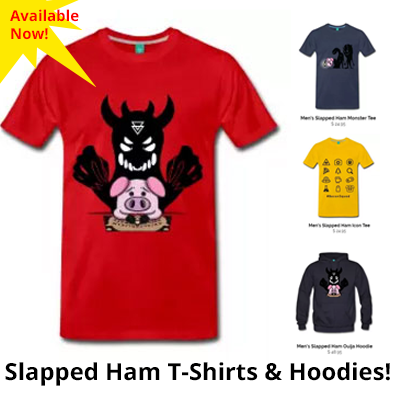 Shadowy creatures that are said to lurk on the edge of human sight. Thousands of witnesses have claimed to have seen them and sightings are apparently more common by those who are sleep deprived. Some believe that these mysterious creatures could be another species of life that simply move too fast for human eyes to see. Others think that these strange beings are somehow linked to the spirit world. So next time you have the creepy feeling that you are being watched but think that no one is around, maybe it is a shadow person lurking in the darkness. 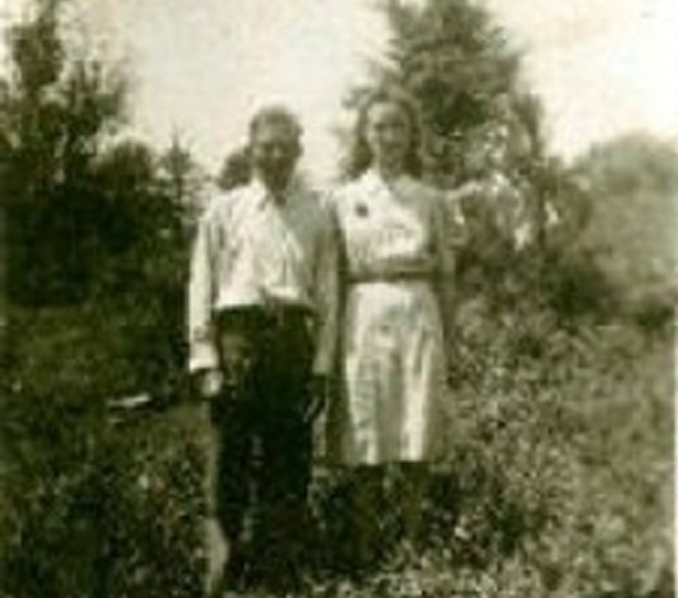 This photo of a young married couple was taken in 1942 in Jasper, Alabama. At first glance it doesn’t seem to show anything unusual. 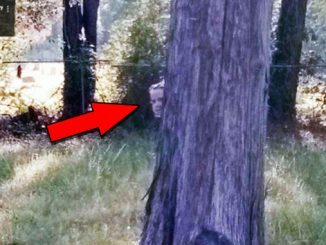 When the photo is enlarged however, you can clearly see what appears to be a haggard old woman in the tree over the woman’s shoulder. She seems to be lunging towards the couple with an outstretched arm. Has the photographer captured some sort of ghost or demon lurking within the branches of the tree, just waiting for a chance to attack unsuspecting visitors? 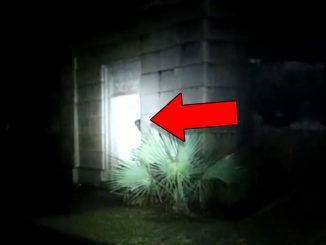 What do you think the creature captured in this photo could be? This photo was taken by a woman from Rhode island on her cell phone. It is of her 22 month old niece who she was babysitting at the time. When she looked at the photo she was shocked to see the disembodied head of and old lady in the left hand corner of the image. The woman swears that there was no one else in the house at the time the photo was taken. Some time later, the woman was rummaging through old family photographs and stumbled across one of her deceased great grandmother. 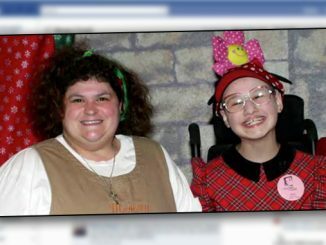 Thinking that she had seen the face before, she remembered the photo she had taken of her niece months earlier. 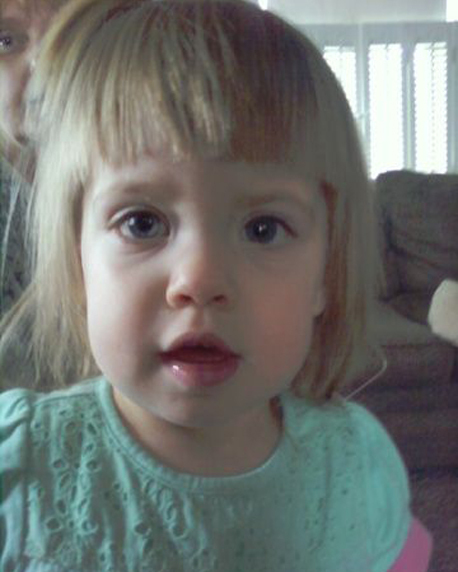 To her shock the woman staring over the shoulder of the little girl looked almost identical to her great grandmother.